Birds of Saudi Arabia: Black-winged Stilt - Going Going Gone? Very little about today on the 'patch'. 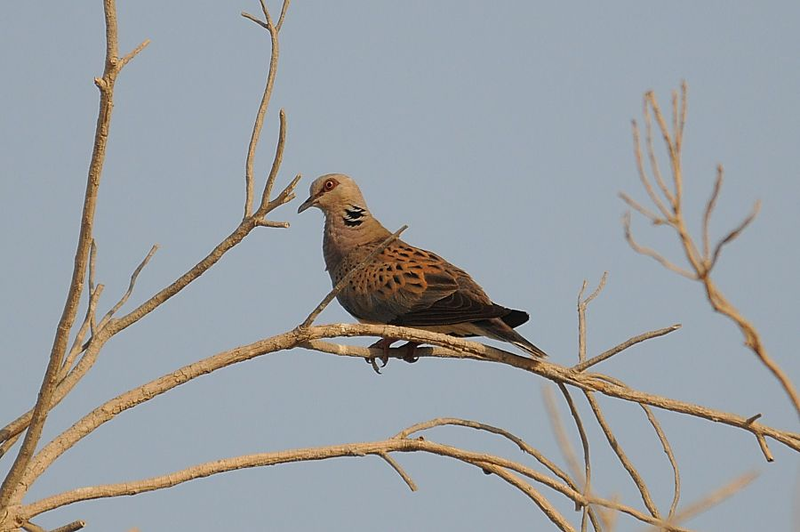 The same European Turtle Dove as yesterday was sitting in exactly the same place as yesterday. A new adult Grey Heron has joined the immature bird that has been about all summer on the percolation pond. Wader nmbers are dropping on the pond with only eleven Black-winged Stilt which have dropped from more than two hundred last week. Other waders included, ten Wood Sanpiper, three Green Sandpiper, eight Little Stint, thirty-four Kentish Plover and twenty-two Little Ringed Plover. They are finally putting some water back in the pond today so lets hope the water levels rise a bit and make the pond more attractive for waders again.